Nowadays, the shipbuilding industry is moving towards a new era where 2D drawings will disappear and be replaced by 3D digital mockup. 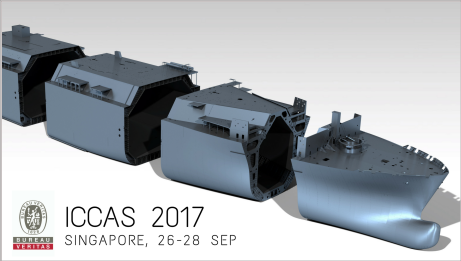 Bureau Veritas will co-host a presentation with Naval Group (ex-DCNS) and Dassault Systèmes concerning 3D Digital Classification. Another presentation will also take place about the next generation of Asset Integrity Management.